Power is being restored to parts of Butler County after a severe thunderstorm moved through the area this morning. More than 1,400 Duke Energy customers were knocked off line when winds estimated at 60 mph snapped trees and power lines. 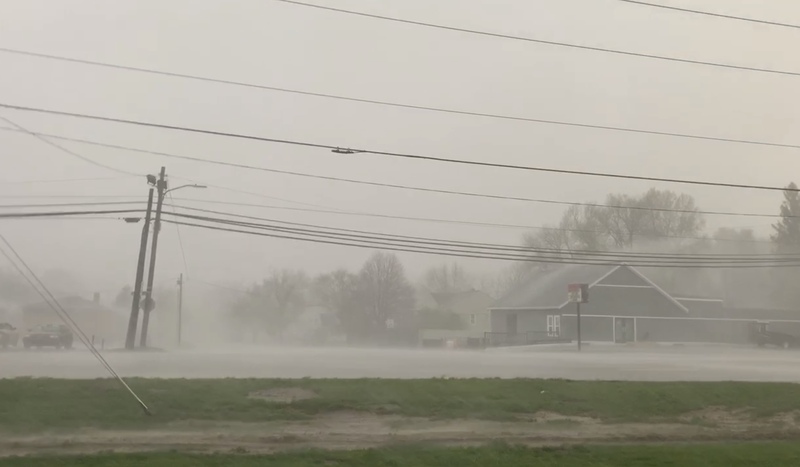 Hamilton city leaders said nearly the entire west side was without power due to damage to transmission lines, but power was quickly restored by city crews. An injury crash involving a Hamilton school bus this morning was apparently storm related, because the traffic light was out at Eaton and Rhea Avenues. District spokesperson Joni Copas says 13 Wilson Middle School students were checked out by paramedics at the scene, and again by school nurses after they arrived at the Wilson. Both drivers were taken to Fort Hamilton Hospital.